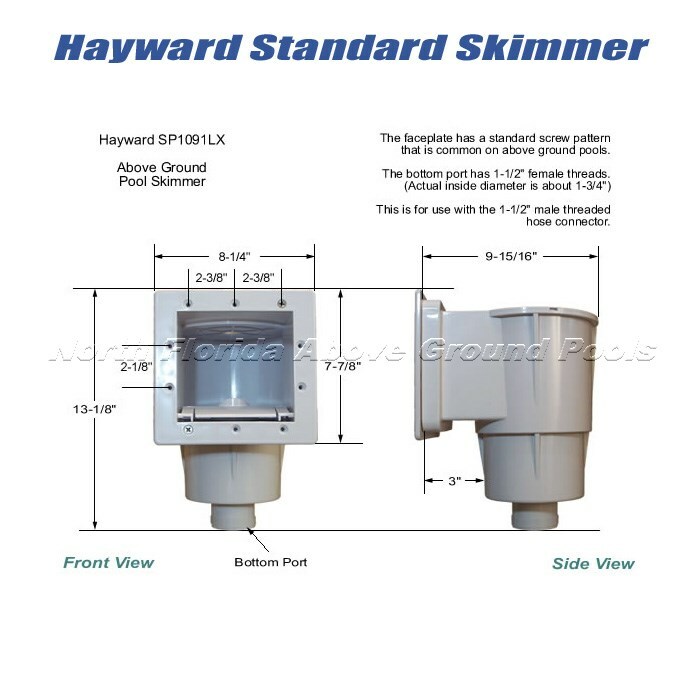 Hayward pool skimmers are an often overlooked piece to replace when changing your above ground pool liner. Skimmer screw holes become stripped out over time and area around the screws often becomes brittle and cracks. Don’t start off your fresh liner change with a broken or damaged skimmer box. Do it the right way and it will last for years. Skimmer kits often includes everything needed to completely replace the skimmer and return jet. 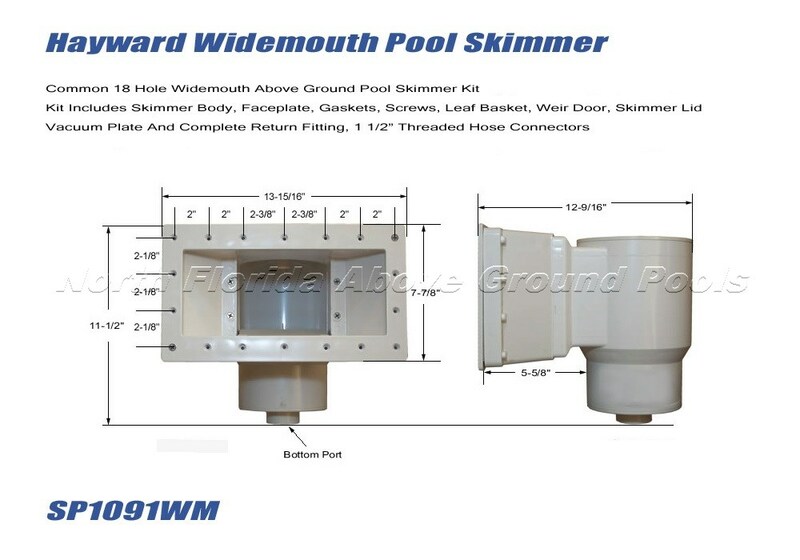 Common kit components include skimmer body, wide-mouth throat extension, face plate, gasket set, leaf basket, screws, weir door, skimmer lid, vacuum plate, return fitting, and hose connectors. Take a close look at the one you are replacing as several versions are used. Below are two of the most common skimmers and their bolt pattern with dimensions. It’s good practice to check other plastic pieces like liner copings and bead receivers for signs of cracking or damage. They often look fine until they are removed from the pool. Old plastic parts tend to crumble or crack once the pool is disassembled.